That bill, HR 8, the Bipartisan Background Checks Act of 2019, passed 240–190, with many Republicans supporting it. Why is this? 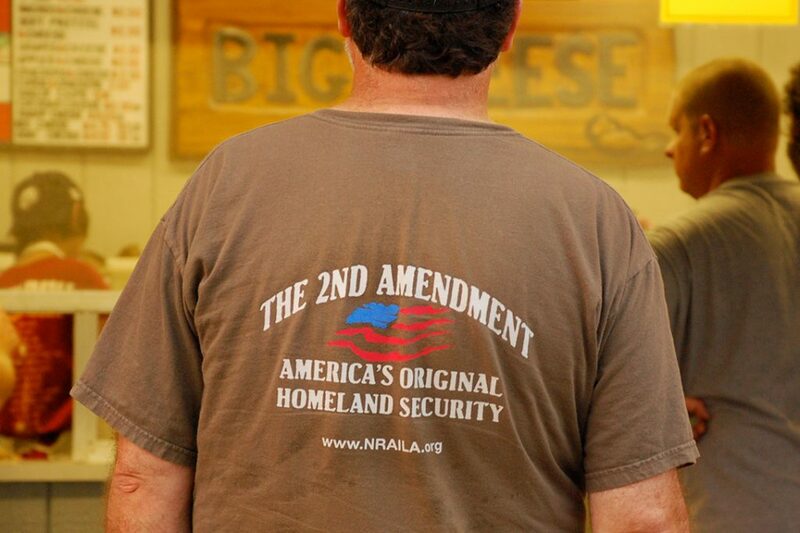 What is it about this bill that bothers gun rights advocates? To understand, it’s necessary to look more closely at the mechanics of the proposed universal background check measure and then examine a common objection to it — that it would establish a de facto national gun registry. These questions are printed on a standard form, Form 4473, issued by the Bureau of Alcohol, Tobacco, Firearms, and Explosives. 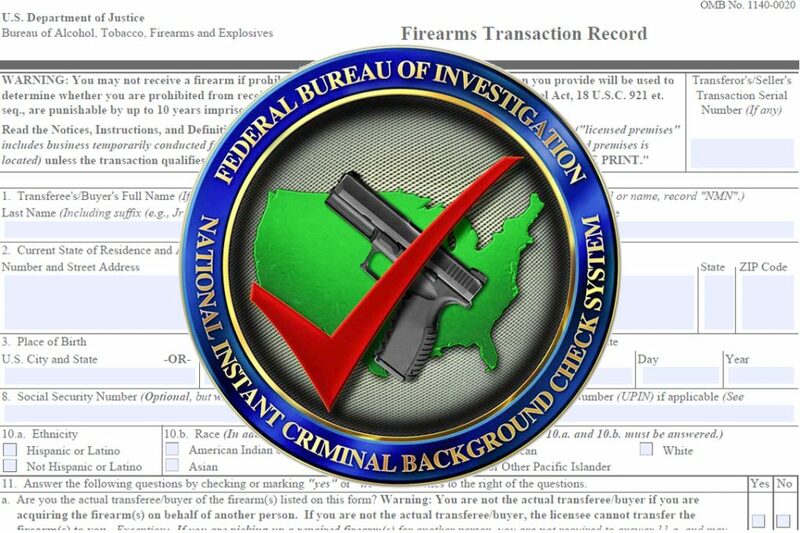 This information is then fed into the FBI’s National Instant Criminal Background Check System (NICS), which, in 98 percent of cases, produces an instantaneous answer. NICS checks this information against three big databases, searching for evidence of criminal conviction, restraining or protective orders, involuntary psychiatric confinement, and state or local orders banning gun ownership. Much of this data is supplied by state agencies voluntarily — although sometimes these agencies make mistakes. But background checks mandated by the Brady law only apply to gun purchases made through federally licensed gun dealers, and this is not the only way that guns are obtained. This is where the so-called gun show loophole comes in, and this is what universal background checks are intended to address. First, the gun show loophole is neither specific to gun shows nor a loophole, but it has become a common way of referring to private gun transactions (i.e., when a firearm is sold or given from one person to another). It’s called the gun show loophole because transactions like this can and do take place between individuals at gun shows. 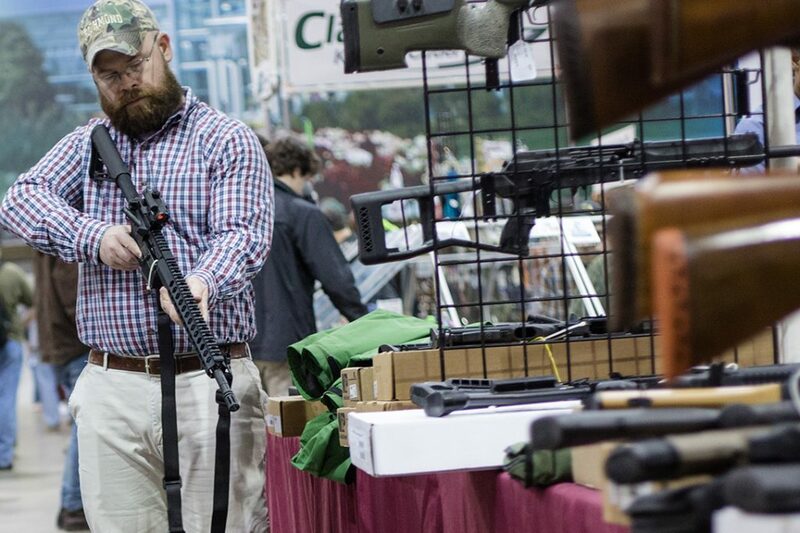 But it’s misleading because it implies that all transactions at gun shows bypass background checks, which is not the case: Commercial gun dealers at these shows are federally licensed, and purchases made from them must be run through the background check process described above. 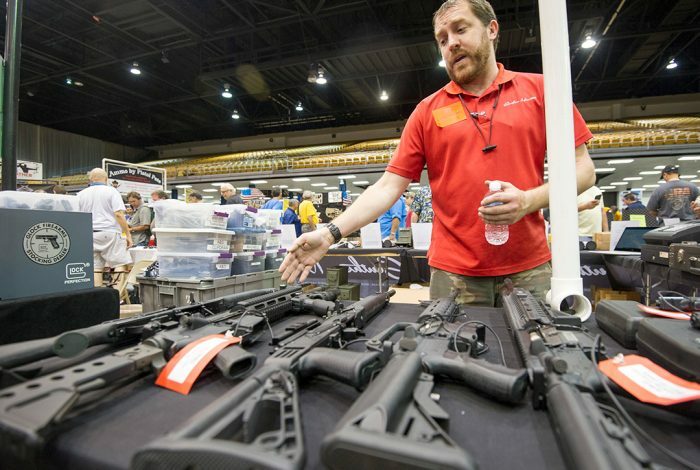 Gun shows, however, provide a venue where private gun sellers and buyers can find each other and buy and sell guns. Hence the term “gun show loophole.” As long as both buyer and seller are residents of the same state, and as long as the buyer has no reason to believe the seller is prohibited from owning firearms, a private gun transaction can be conducted with no background check and no paper trail. But a gun show isn’t necessary for such private transactions to take place. In fact, they can occur anywhere, and the internet has made this even easier. These days, private gun sellers and buyers don’t need a physical venue to find a match: Like lonely singles, they can use online services, such as this one, to find what they want. To recap, background checks are currently not required at the federal level for any of these private gun transactions; HR 8 would change that. It would require that a private buyer and seller first go to a federally licensed gun dealer and fill out Form 4473. The dealer could send send the Form 4473 information to NICS. Some states already require this. Currently, 20 states as well as the District of Columbia have background check measures that cover at least some private sales, but HR 8 would cover most of them — making exceptions for obtaining a gun through inheritance, as a gift from a family member, or on a temporary loan from a friend or relative. Significantly, the bill explicitly does not authorize the creation of a national database for any of the information obtained through these background checks. A De Facto Gun Registry? Despite HR 8 containing this language, some gun rights advocates cite the creation of such a registry as a primary concern with the bill. Leaving aside for a moment why this might concern them, consider whether — despite the explicit language of the bill — the creation of such a registry might, in fact, be possible. The Gun Owners of America, a gun rights group that positions itself further to the right than the National Rifle Association, is one group that makes this argument. Michael Hammond, the GOA’s general legislative counsel, told WhoWhatWhy that HR 8, in his opinion, sets the stage for national gun registration, regardless of what the bill says. According to Hammond, it starts with Form 4473, every one of which is run through NICS. But those paper forms live on after the destruction of the NICS data, and they remain in the possession of the federally licensed gun dealer where the forms were filled out. According to Hammond, the GOA has received reports from licensed gun dealers who say that ATF agents, during routine annual inspections, have scanned these forms in the gun stores. This scanning, if done systematically, Hammond argued, would provide the basis for a de facto gun registry, especially if digitized and made searchable. Yet it is unlikely that the ATF is secretly creating a searchable database. First of all, to do so would violate current federal law, namely the above-mentioned Firearm Owners Protection Act of 1986, which prohibits “any system of registration of firearms, firearms owners, or firearms transactions or disposition” from being established. This 1986 law is intimately familiar to Hammond, since he was one of the legislative aides who helped write it (Hammond worked at the time for Republican Sen. James McClure of Idaho). Moreover, the ATF already bends over backward to process older gun data without creating a searchable database. Older Form 4473 filings are constantly being shipped by gun dealers that have gone out of business to an ATF center in Martinsburg, WV, called the National Tracing Center (NTC). That center receives about 2 million documents of this kind per month. The almost cartoonishly comical filing and retrieval system used by the NTC — which employs about 140 workers who spend their days scanning through microfilmed 4473s, as well as another team of workers who specialize in reverse-engineering Microsoft Excel spreadsheets into PDFs and then into non-searchable TIFFs — has to be seen to be believed. All of this ensures that there is no centralized, searchable database, and that is by legislative design (again, according to the Firearm Owners Protection Act of 1986). It’s partly because of this 1986 provision, as well as the explicit language in HR 8 barring the creation of a gun registry, that leads other gun rights advocates, such as John Whitehead of the Rutherford Institute (basically the conservative cousin of the American Civil Liberties Union), to not worry about one being created any time soon. “While the danger may exist that this kind of database might be created, it does not appear that HR 8 significantly increases that danger,” Whitehead wrote in an email to WhoWhatWhy. And it’s this last part — confiscation — that really worries gun rights advocates. “There are a few states that have had registered guns that have not, in the end, moved toward confiscating the guns,” Hammond said. But the existence of a registry, even a de facto one, makes confiscation much simpler, he said. If future legislation calls for confiscation of, for instance, assault rifles, “then they have a handy list of the doors to which they need to send the SWAT teams,” he said. Regardless of whether one agrees with Hammond’s analysis or not, the concern about confiscation is common among gun rights advocates, and is not likely to disappear in the near future. In fact, the recent mass shooting in New Zealand, which prompted swift action on gun control by that country’s government — including the banning and buybacks of assault rifles — is exactly what gun rights advocates in the US now point to as an example of what they most fear. This concern about gun registries and fears of future gun confiscation, especially of assault rifles, will continue to shape gun politics in the US for the foreseeable future, especially while Republicans control the Senate and the White House. Related front page panorama photo credit: Adapted by WhoWhatWhy from Mobilus In Mobili / Flickr (CC BY-SA 2.0), GOA / Wikimedia, and NRA / Wikimedia.